I was at the pet store yesterday to buy some fish when I spotted a tank of Glofish fluorescent zebrafish. I never thought I’d see a pet store selling fish that come in colors like Starfire Red, Sunburst Orange, and Electric Green. At first I thought these fish were painted, but I was surprised to learn that their bright colors are actually inherited. 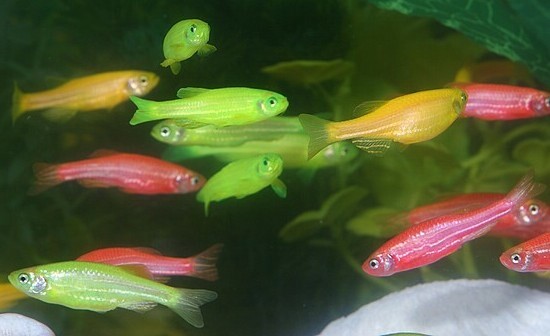 Check out the Glofish web site for some fascinating information on this unusual fish. At $4 each, they are a bit pricey but will add plenty of color to your aquarium. I’m already thinking of getting some for mine. ← If Google existed in the 1960’s.